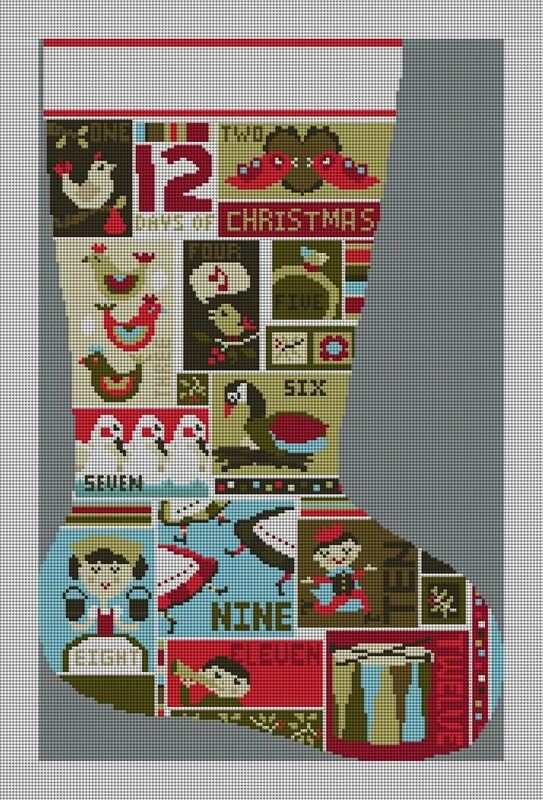 Our 12 Days of Christmas Stocking Needlepoint kit is a stocking rich in holiday detail and design. Based on the classic holiday song, where a series of increasingly grand gifts are given to one's true love, on each of the twelve days. A fabulous project to stitch for the holidays to adorn your fireplace. Be sure to personalize this stocking by including a name at the very top.